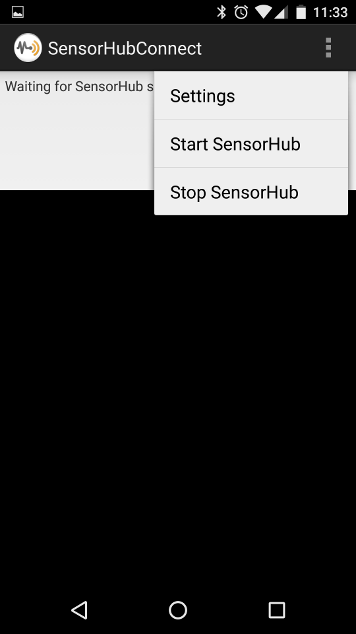 The core modules of OpenSensorHub (OSH) can run natively on Android 6.0 ("Marshmallow") and later versions (support for older versions of Android has been dropped since v1.3.2). 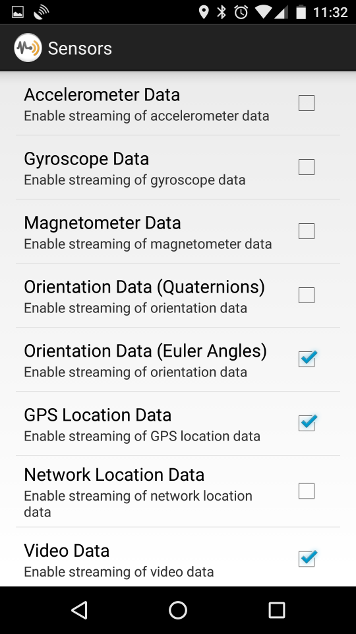 Android distribution for OpenSensorHub will come as an Android service that any app can connect to and configure with the desired modules. An app will then be able to connect directly to OpenSensorHub object model and access any part of it (e.g. sensors, processes, services, communication networks, etc.). Thus apps provide view and control over the OSH engine and can be highly customized to the user need. We intend on making the service accessible by several apps concurrently. The demo android app is an example of how to connect to the service, configure it and display information from it. 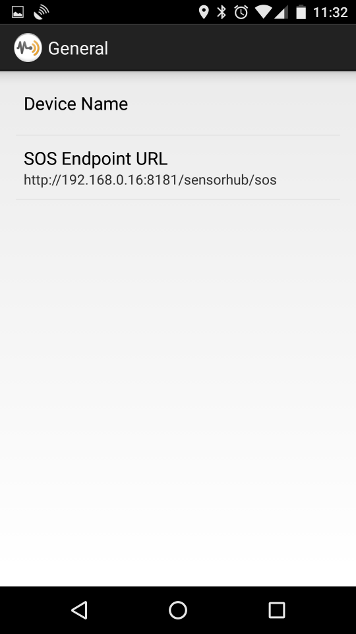 This particular app allows uploading data collected by the phone to a remote SOS-T endpoint, and can be configured to enable/disable what sensors are used. 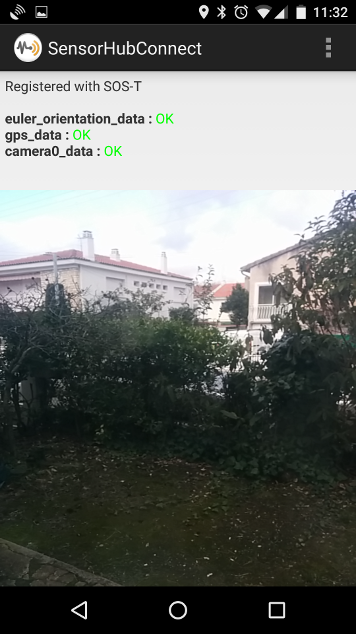 Below are some screenshots of the app in action.